Probir invited to attend President Obama's Stimulus Bill signing event at the Denver Museum Of Nature and Science. Colorado Governor Ritter is on Probir's left. At CORE's Global Sustainability Opportunity Summit. Probir Ghosh – President, CEO & Enabler, VSNI. Probir is an enabler who is deeply passionate about Sustainable Renewable Energy Initiatives. His ability to analyze large volumes of disparate data and complex dynamics to derive the big picture has been widely recognized. His intensive research through hundreds of industry analyses, databases, articles, journals and books, as well as in-depth discussions with thought leaders on global energy dynamics, has led him to an unwavering conclusion: he firmly believes that if we, as thought leaders, can come together and set a Comprehensive National Vision & Stretch Goals, our nation can regain global leadership in Sustainable Renewable Energy Initiatives that will, in turn, create millions of jobs and rev up the next unprecedented economic engine of growth, while curing the environment for our future generations to enjoy and prosper. He feels that this should be the next “man on the moon mission” for our nation. Probir is currently working closely with a rapidly growing number of like-minded thought leaders with real time deployment plans to help our nation realize this vision. He is fully aware that the dynamics are complex and that there is no quick and easy fix; however, he feels that there needs to be a systematic approach that leverages current phenomenal but fragmented efforts to provide significant quick wins. He believes that our nation will need the help of private and public sectors to shape policies and create a collaborative environment to do so quickly. In parallel, the best minds in the nation need to work really hard to come up with radical technologies for sustainable energy options to enable a robust economic growth engine that drives the economy and jobs for our nation. Only then will our nation lead by example; and our revitalization of economy, environment and clean energy will drive other nations to emulate our success. The phrase “China for a day” coined in “Hot, Flat & Crowded” by Tom Friedman increased Probir’s urgency to find a workable Sustainable Energy Solution for democratic nations like USA where political posturing and the fragile dynamics between the private & public sector can many a times derail rapid deployment of such critical initiatives. Probir chaired the recent Sustainable Renewable Energy Forum which was attended by several key thought leaders. His presentation as well as several other presentations from some of the leading professionals in Sustainable Energy Initiatives can be viewed at www.vsnicorp.com. Probir started his career with Thermax Pvt Ltd, a premier energy generation & recovery solutions company. He has done extensive work on alternative fuel-based energy generation and improving energy utilization across various industry sectors. Probir brings over twenty five years of relevant experience through his work with high tech companies in the US and India. He also co-founded B2K Corp Pvt. Ltd, a contact center services provider company that was referenced in Thomas Friedman’s “The World is Flat”. Prior to this, Probir worked as a senior exec to the COO/CEO for StorageTek, where he did ground breaking work in Creating Core Competencies & identifying Strategic New Markets for the company. He is a voracious reader and has been deeply influenced by the works of Hamel & Prahalad that resulted in “Competing for the Future”, Clayton Christensen’s “Innovators Dilemma”, Robert Bergelmans’s work with Intel “Strategic Management of Technology and Innovation” & “Strategy is Destiny”. Probir has a B.Tech from IIT in Chemical Engineering and an MBA from University of Denver. He has attended Executive Management Programs in IIMA, Wharton, Stanford, Caltech and is actively involved with several alumni and professional associations in the Rocky Mountain Region. He resides in Colorado with his wife Chandy, his son Neal and daughter Sonia. In their free time they enjoy all kinds of sports activities, especially basketball and tennis. Virtual Source Networks Inc’s (VSNI) business model is to work with a virtual team of networked experts who are leaders in their field to create large scale, sustainable solutions, not usually possible otherwise. “Please count me in on this. It is very exciting.”, after reviewing “Why US needs to have a Comprehensive Vision and Stretch goals to regain global leadership on Sustainable Energy Initiatives”. DU is planning a panel session in March followed by discussions about how to work together for a multi institution and private sector venture putting relevant education programs on Sustainable Energy Initiatives in place. Matt Baker, Commissioner, Public Utilities Commission, Dept. of Regulatory Agencies & architect of amendment 37, that entices regulated utilities to generate 20% of their energy from renewable energy sources in Colorado. “Thanks, Probir. Excellent session, glad to participate.” Bob Noun, Executive Director, External Affairs, National Renewable Energy Laboratory. “I much enjoyed our meeting yesterday and found your approach to the sustainability challenge to be very compelling since it springs from a very clear understanding of the global driving forces that are shaping these resource constraints.” Graham Russell, Executive Director, CORE. “I thought it was very compelling and full of excellent data and observations. …” Luisa Lombera, Rocky Mountain Institute. “You are a whirlwind of activity, thought and networking--it's very exciting to make your acquaintance and be working with you on these ideas.” Steve Brauneis, Rocky Mountain Institute. “Great talking points. We will bring as much to the table as we can.” Mike Simpson, Rocky Mountain Institute. Ram provides expertise in the areas of biomass nutrients for generating renewable energy as well as biowaste/wastewater remediation for VSNI. Dr. Ramaswami is a leader in his field of expertise and has 30 years of diversified engineering, research and management experience in the areas of water and wastewater treatment, biological nutrient & energy recovery that can lead to renewable energy generation, and bioremediation of hazardous wastes in soils, sludges, and water. Dr. Ramaswami has deep technical experience in design, installation, and operation of biological, chemical, and physical wastewater and groundwater treatment plants for private and public sector clients including superfund sites. He has made numerous presentations at technical workshops and symposiums on biological nitrification/denitrification, industrial wastewater treatment and bioremediation. 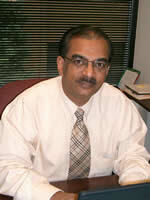 He has conducted treatability studies for organic and inorganic constituents in soils, sludges, and groundwater. He has participated on an EPA review panel of experts for water and waste in Washington D.C. Dr. Ramaswami has demonstrated expertise in multitask programs specializing in health and environmental risk assessment, remedial action evaluation, and water quality. He is a registered Professional Engineer in Colorado, Nebraska, Texas, and Oklahoma. He is a Board Certified Environmental Engineer (Water and Wastewater Specialty) by the American Academy of Environmental Engineers. He is also an Adjunct Professor of Civil Engineering at the University of Colorado at Denver and teaches courses in Water Quality Engineering, and Bio-solids Management, and is well networked with the leading industry experts in their respective fields. M.S. Biochemical Engineering, University of Birmingham, U.K.
Srini provides advisory services for optimized global operations centers for customers of VSNI. He is a Managing Director and Board member for AsiaPac for the Hays Group. He also is the Founder and Director of Vision Management Services, Inc., a niche consulting company based out of New Delhi, India focused on helping clients successfully implement offshore BPO operations. He has had extensive experience in helping clients identify, plan for and execute global operations centers across multiple industry sectors (e. g., financial services, high technology, automotive, manufacturing). He has also set up and run a captive BPO offshore entity. Srini has enabled several clients (a Fortune 500 technology services company and two large UK based financial services companies) move BPO work to India. Prior BPO clients include EDS, GE, GM, and Goldman Sachs. Srini has 25+ years of management consulting experience with companies such as A. T. Kearney, where he headed India operations and directed their India-based global sourcing practice. Prior to this, he worked for Gemini Consulting in North America, Europe and Asia Pacific as a senior partner. He has also held general management roles in such technology companies as Bioximetry Technology, Inc., and Storage Technology Corp. in Boulder, Colorado. Srini holds a Bachelor’s degree in Commerce from the University of Madras, India; an MBA from Eastern New Mexico University; and a Doctoral degree in Organization Development from the University of Northern Colorado. Chandy is responsible for delivering all the company’s initiatives in IT software services. She is an executive consultant with proven expertise in defining and driving IT strategy, global delivery models, change management, Service Oriented Architecture (SOA) transformation, telecommunications solutions, next generation eCommerce systems, architecture, software development, technology selection, client management, delivery, operations & software processes. She has significant vendor & cultural expertise in managing best-shore global teams. Her strengths lie in bridging the business and technical domains; providing IT roadmaps to accomplish strategic business goals. She drives M&A synergies; performs vendor/product evaluations to best match customer’s needs. Prior to this, Chandy has been the CIO for CQG, a successful privately-held Financial Trading software company, responsible for a 300 member product development team across 6 global E.European sites delivering innovative trading solutions. CQG supports commodities exchanges in 5 continents processing 25,000 transactions per second, providing intricate analytics to high-end trading institutions. Chandy began her career at Qwest, where she led several IT initiatives for various business units over a successful 16 year span. She pioneered offshoring and managing a 50-member team in B’lore. 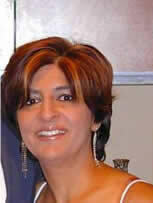 She then followed her entrepreneurial spirit to start her own consulting practice in 2004. Chandy has an MBA degree in Information Systems as well as an MS degree. She is a member of CXO organization, Wise Women as well as CIO Forum for Women. She also completed a Harvard curriculum Executive Development Program & CCL’s Developing the Strategic Leader. She has process CMM certification. 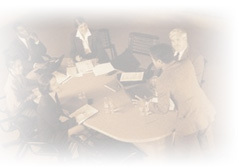 Nilabh is focused on Bio Tech Research Contracting & Advisory Services. He has 20 years of R&D experience: 12 years at growth stage biopharma companies (rising from scientist and research leader to business manager, chief scientific officer and startup-CEO of a Cleveland Clinic biopharma spinoff), 8 years of academic research at Rockefeller University and Howard Hughes Medical Institute. - Highly entrepreneurial background: Experience in preparing and implementing business plans (at four startup and growth stage companies). - Initiated and led multidisciplinary joint R&D programs with national and international organizations: including academia, hospitals, government organizations, biotech companies and pharmaceutical companies (e.g., Schering (Germany), AstraZeneca (UK), Aventis (USA and Germany), Millennium). - Ph.D. in Biochemistry: Received the Runyon-Winchell Cancer Fund Postdoctoral Award for training with Nobel Laureate G?nter Blobel at the Rockefeller University, New York. - Broad-based experience in preclinical R&D: oligonucleotide therapeutics for infectious diseases, cancers, neural diseases and vascular diseases. Expertise in the development of drug delivery formulations for biologics. Training in cell biology, molecular pharmacology and in vivo biology. Patented the first nontoxic nonviral nucleic acid delivery vehicle designed to work in vivo.